If you've moved to a new city recently (or are planning to in the near future), then you've likely thought of all the new things you get to experience. Some - like new restaurants and zoos - are exciting! Others - like choosing new doctors - can be a bit stressful to think about, especially if you're moving with young children or are pregnant. That's why we've put together this blog post - to help guide you through this decision-making process. When should I start looking for a doctor? If pregnant, making a decision well before labor and delivery allows for an informed, well-considered choice. It's a good idea to start compiling a list of candidates about four months before your due date. Similarly, if you're moving and your child has medical conditions that need frequent or regular attention, you need to start planning several months before your move in order to make sure that you can get an appointment on the books. Many parents take their baby to a pediatrician, a doctor who specializes in the care of children. 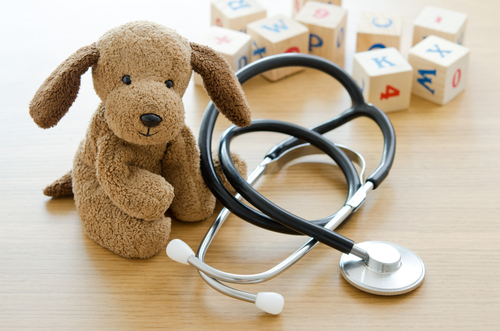 Focusing on children's health and practicing with kids each day gives pediatricians a leg up when it comes to expertise on children's medical issues. Either type of doctor is fine, as long as you feel comfortable and confident about your child's care. Put out a post on Facebook announcing that you're moving to a new city and ask for recommendations. Most likely, your friends will be eager to help you. You might also ask your new neighbors, co-workers, or relatives that might be in the area. If it's a group practice, do you know and like the other doctors? Is there anything you don't like or wish was different about your child's doctor or her practice? Make sure all the doctors you're considering are taking on new patients and will accept your health insurance. Next, look over your list and note which doctors have convenient locations and office hours. The best doctor in the city can lose her luster if her office is hard to get to (imagine driving at rush hour with a sick and miserable child). The next step is visiting your top prospects at their office. Only a face-to-face meeting will show you whether this doctor has the warmth, sensitivity, and professionalism you're seeking. Choosing the right pediatrician for your family can be a big decision, but we believe it's one well worth researching and getting right!